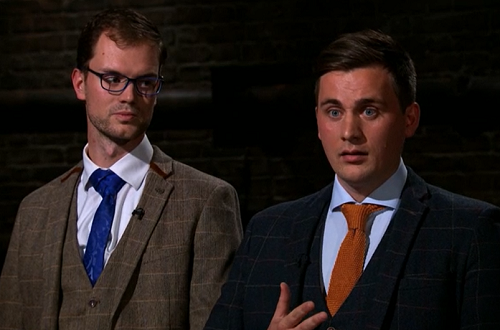 Vincent Efferoth and Lukas Passia pitched their Noveltea alcoholic tea business for investment on Dragons Den. The German businessmen came to the Den seeking an investment of £80,000 for a 5% stake in their new business venture. Noveltea The Tale of Earl Grey 25cl Spirit is available at Amazon now.